I am campus architect emeritus; I served as campus architect from 1988 until 2010. 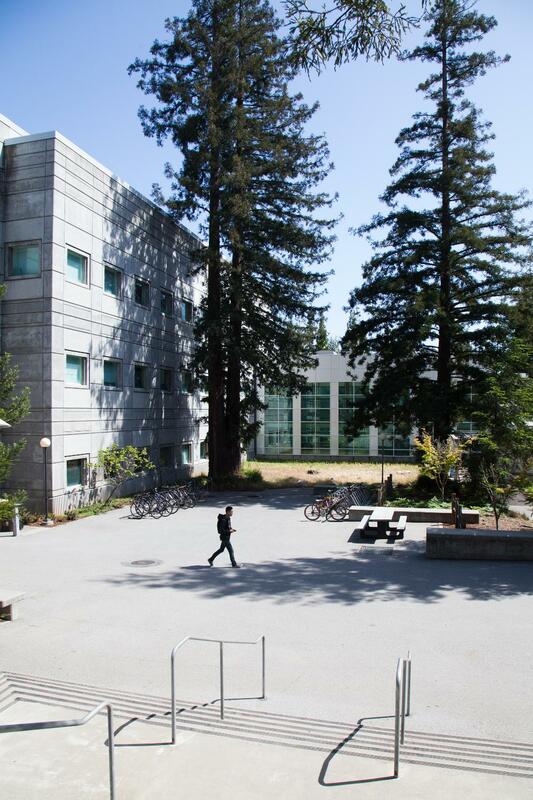 However, I first arrived on campus in September 1967 as a freshman of Cowell College. I bring you to this spot not for what is built here, but for something that was not built. 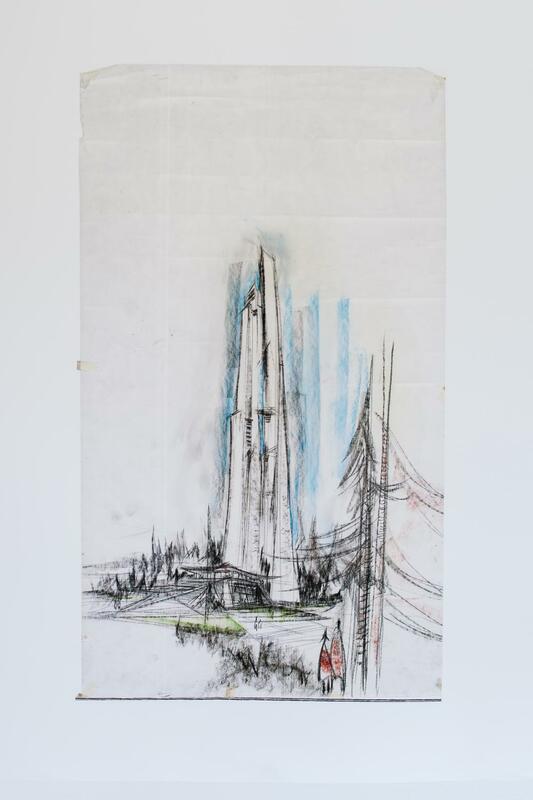 Around 12-15 years ago, one of my colleagues in the Office of Physical Planning and Construction came into my office with an unknown tube of drawings he had found. They were 4 pastel drawings and on one of them I noticed a little bit a writing that said Marc Roques sketches. One of the architects that I worked for before the university, Olof Dahlstrand, was a very skilled renderer. He did a lot of renderings for the offices of John Carl Warnecke and Associates in San Francisco. John Warnecke headed the team that prepared the first long-range development plan for the campus, which was published in 1963. Now, somewhere along the line, Olof had told me he had done a lot of renderings to support that plan. He had also told me that there was a young French architect working with Warnecke who was assisting with some of the drawings. So, when I saw these drawings, I called Olof and found out that fellow who worked with Warnecke on the long-range development plan was indeed Marc Roques. I knew then the derivation of the drawings, and I started to do more digging. It turns out the 1963 development plan proposed what it called “a vertical architectural symbol . 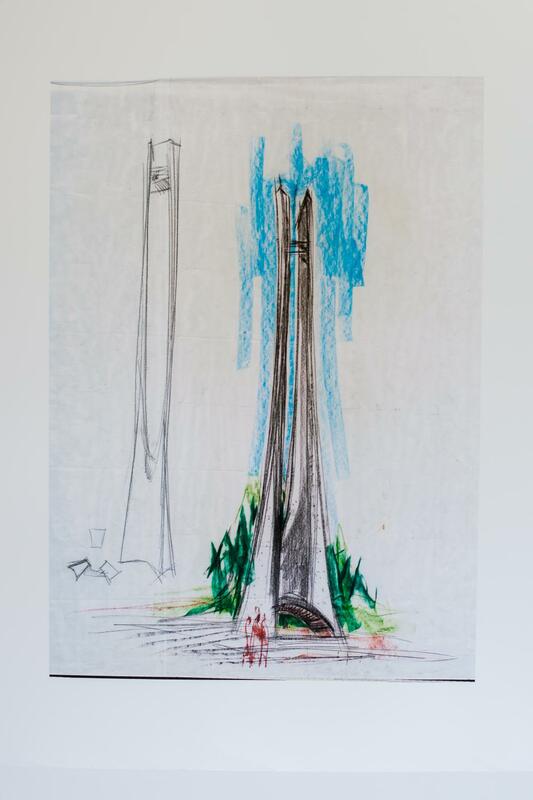 . . a great tower rising through the trees to provide orientation within the campus and identification without.” The intention of these drawings was to be that vertical tower, and this spot—where you are standing—is where that vertical tower would have been. 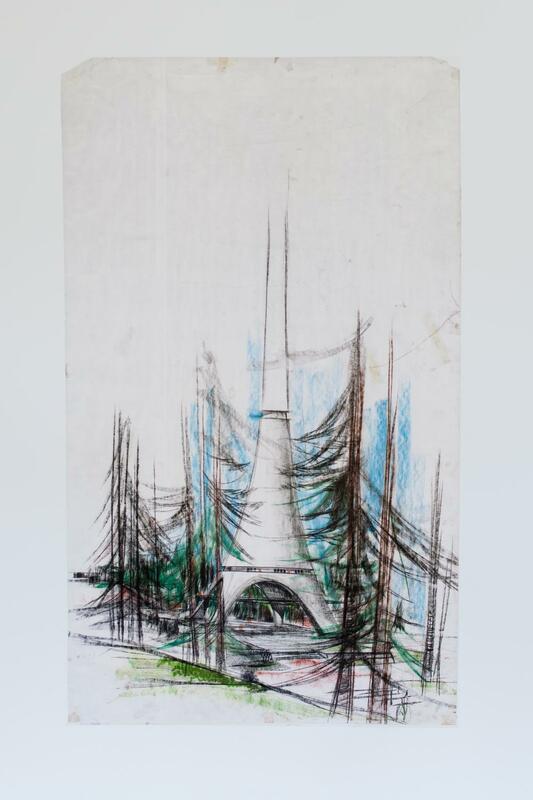 What I love about these drawings, one of which looks amazingly like the Eiffel Tower in concrete, is that they are both profoundly visionary and profoundly retrograde at the same time. The idea that the campus needed a campanile (a vertical tower) is very much embodied in the spirit of the University of California. For instance, the main symbol of the UC Berkeley campus is its 375-foot campanile. UC Riverside has one that was built in about 1966. These drawings were probably done around 1962. UC Santa Barbara has one, Storke Tower, built in 1969. And, there are campaniles on campuses across the United States—it seems campaniles were just in the air. So, why is there no vertical element here? One of the most influential people in developing the shape of this campus was the landscape architect Thomas Church. In fact, he is the reason the campus is not in the Great Meadow. As the story goes, as the team set about determining the scope of the campus, under the assumption that it would be built in the meadow, Church asked everyone to think about what was the most memorable part of the campus, of this plot of land. Everyone agreed that it was the meadow and the sweeping views over it. Church questioned why would anyone would build over the best part of this location, and they moved the campus into the trees instead. Church also called into question the idea of a campanile on this campus. Although the story is that Warnecke envisioned a vertical element, even on the three dimensional model that was made of the campus, Tommy (Thomas Church) was more convincing when he said the last thing this campus needed was more vertical elements. In fact, he pulled the wooden dowel right out of the model and threw it away, leaving the idea of the campanile long forgotten.